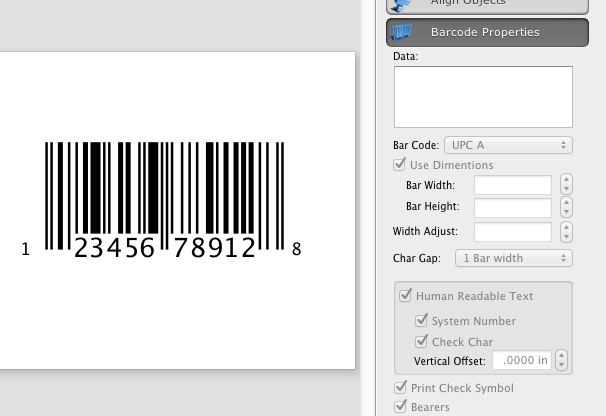 To change the barcode symbology on your card, select the Barcode Info tab in the Object Information Panel, and use the Barcode popup menu. 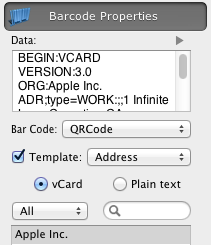 Enter the desired data to the Barcode data field. 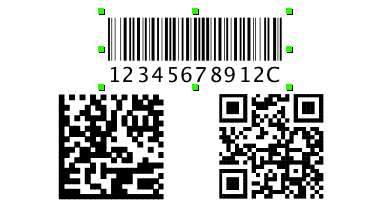 Switching to QR Code or Datamatrix symbologies displays Templates popup, and Address Book controls, that allow to select a person which data to encode as QR code. 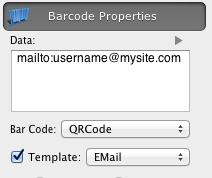 URL, EMail, SMS, and other Templates popup menu options set correspondent template to the Barcode data.